Thank You To Nintendo For All The Information. A built-in 3D Depth Slider allows you to immediately adjust the intensity of the 3D settings on the Nintendo 3DS system to your liking. The 3D effect can also be turned down completely—all Nintendo 3DS games and applications can be played in 2D, and look better than any Nintendo handheld before it. The bottom LCD touch screen operates at a resolution of 320x240—with both screens capable of displaying a brilliant 16.77 million colors. The Nintendo 3DS system uses its two outer cameras to see the world in 3D, much like the human eye, allowing for the creation of 3D photos—and a similar 3D effect to that seen in Nintendo 3DS games. Every Nintendo 3DS system comes packed with a 2GB SD Memory Card. You can use this SD Memory Card to store your 3D photos, and sound recordings created on the Nintendo 3DS system, and music* from your PC. You can also use it to store games downloaded from the Nintendo eShop. The Nintendo 3DS system has SDHC card compatibility to increase your storage space even further. * Nintendo DS and Nintendo DSi games will be displayed in 2D graphics. Select Nintendo DS games that use accessories in the Game Boy™ Advance slot of the Nintendo DS system are not compatible with the Nintendo 3DS system. Social and wired like no Nintendo system before it, Nintendo 3DS brings fellow players together in exciting new ways with StreetPass™ communication. Set your Nintendo 3DS to Sleep Mode and carry it with you wherever you go to exchange game data like Mii™ characters, high scores, and custom characters with other users you pass on the street. You control what data you exchange, and you can exchange data for multiple games at once, making virtual connections with real world people you encounter in your daily life. 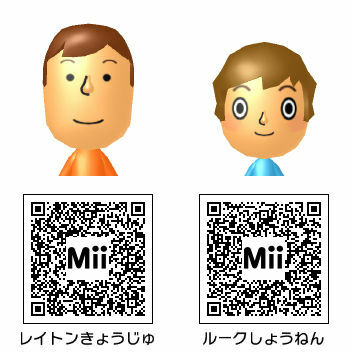 Your portal to all of the amazing software on the Nintendo 3DS system, the HOME Menu is accessible at all times. Pressing the HOME button during game play automatically pauses the game and lets you resume play later. Need to search the Internet for gaming hints? Pause your game, hit the HOME button, and open the Internet Browser—then return to your game uninterrupted. You can access a range of useful functions from the HOME Menu without quitting your game—such as the Internet Browser (system update and wireless broadband Internet access required), your Friends List, Game Memos, and your Notifications List—for an incredibly user-friendly experience. Take amazing 3D photos with the built-in Nintendo 3DS outer cameras, and bring your memories into a whole new dimension. Then utilize a variety of lenses and tools, such as the Merge lens, Pinhole lens, or Graffiti tool, to add flair to your photo gallery. 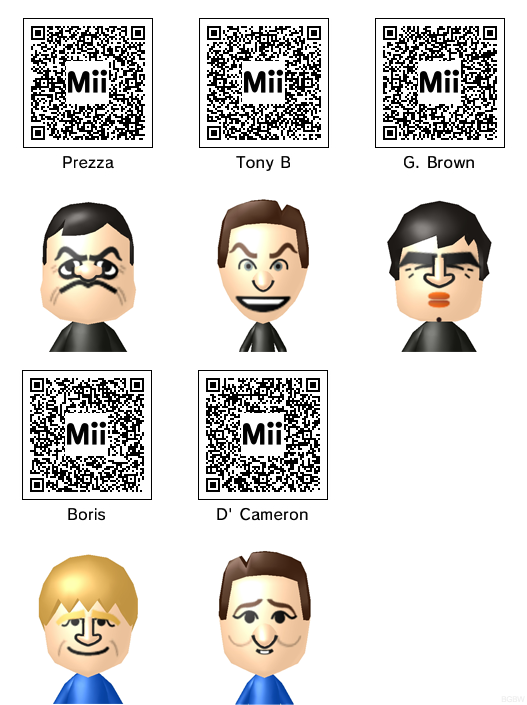 Creating Mii™ characters is a fun social experience for any player, and now this popular feature from the Wii™ console is available on the Nintendo 3DS system with some exciting new touches. 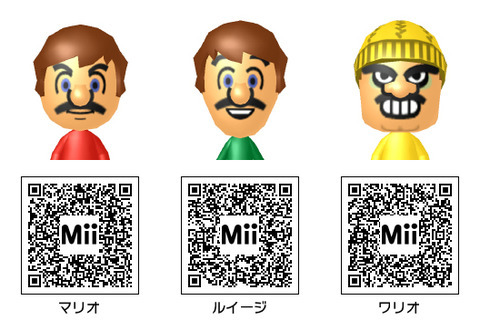 It's easy to create a Mii character from scratch, choosing each facial feature to represent yourself, a friend, or some fanciful character. 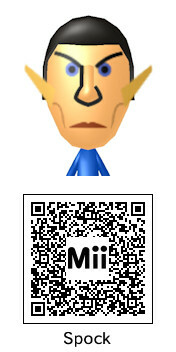 The real fun happens when you create a Mii from a photo. 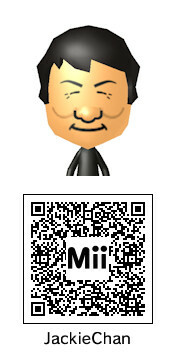 After choosing just a few basic settings, take a photo of yourself or a friend with the Nintendo 3DS Camera, and let the Mii Maker™ application automatically generate your Mii character. Then make any final adjustments, and voilá! 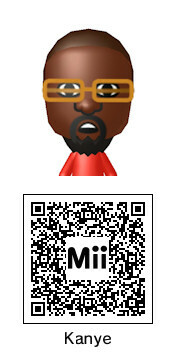 Your Mii is ready. 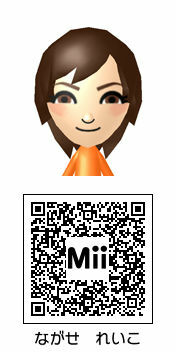 StreetPass™ Mii Plaza™ is the place where Mii™ characters meet and greet! When StreetPass™ communication is activated, you can exchange Mii data, recent gameplay info, and more with other Nintendo 3DS owners you pass on the street when your Nintendo 3DS system is in Sleep Mode. 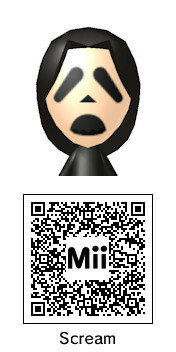 You'll then be able to see these Mii characters in the plaza the next time you start playing. Imagine seeing a video game unfold in the real world...right on your kitchen table, or the floor of your living room! AR Games uses the Nintendo 3DS outer cameras and AR Cards included with the system to present an amazing augmented-reality gaming experience. Just place one of the AR Cards on a table or floor, and the Nintendo 3DS camera will read the card and initiate game stages or characters right before your eyes. AR Games features different modes, from a wild shooting gallery to an interactive photo shoot with your Mii™ characters—plus more. Put a friendly face right into the action with the built-in Face Raiders game. Using the camera, you can take a photo of yourself, a friend or family member, which is then placed right onto a range of shooting targets. To play, you'll need to move with your Nintendo 3DS system, physically leaning and turning to search all around and aim high and low, taking out your targets. 3D gameplay combined with the gyro sensor feature makes Face Raiders a fun surprise for any type of gamer. The Activity Log tracks both your game play activity, noting which games you've played and how long you've played them, as well as your physical activity, counting every step you take while carrying your Nintendo 3DS. Track your data by day, week, month, or year—and walk more every day to earn Play Coins, which can be used with compatible games and applications to acquire special content and a variety of other benefits. The Ninendo eShop will use a cash based system instead of the current point based system. Rediscover classic portable games and so much more through the Nintendo eShop. In it you'll find the Virtual Console™ service, featuring a selection of games from classic Nintendo systems like the Game Boy™ and Game Boy™ Color. You'll also find new Nintendo 3DS games exclusive to the Nintendo eShop, as well as Nintendo DSiWare games and applications—previously available on Nintendo DSi™ systems. Look out for more information very soon*. * A Nintendo 3DS system update may be required to access this feature. Access the Internet with ease using the built-in Nintendo 3DS Internet Browser. Whether you want to check email or catch up on your favorite news site, it's easy to view a variety of web pages right on your portable system—wherever there is a wireless connection*. * A Nintendo 3DS system update will be required to access this feature. The Nintendo 3DS Sound application lets you listen to your favorite music saved on an SD Card in MP3 or AAC format. You can even record and play with sounds via the Nintendo 3DS microphone with a variety of fun filters. Discover a new way to play video games. Featuring an exciting range of Nintendo published games and the best 3rd party launch line up ever for a Nintendo console, players will have a outstanding library of games to play come spring. Put yourself in the pilot's seat like never before in this 3D update to the Pilotwings™ series! 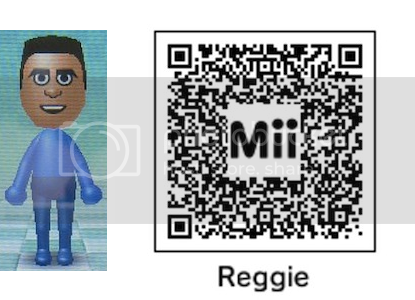 Import your Mii™ characters from the Nintendo 3DS Mii Maker™ and explore Wuhu Island by plane, hang glider and rocket belt. Pilotwings Resort features a breadth and depth of field that can only be achieved with the 3D effects of Nintendo 3DS, offering a feel and style of play never before seen in an aerial sports game. The Legend of Zelda™: Ocarina of Time™ 3D takes the Nintendo 64™ classic – one of the most critically acclaimed games ever made – and returns it to the Nintendo 3DS system with the added depth and realism of stunning, glasses-free 3D visuals. A complete graphical overhaul, plus new game control using the unique features of the Nintendo 3DS system, makes this an exciting adventure to be enjoyed by long-time fans and new players alike. Pit of Kid Icarus™ fame is back in a new game designed specifically for the Nintendo 3DS system by Masahiro Sakurai, creator of the Kirby™ and Super Smash Bros.™ franchises, Kid Icarus: Uprising is a fast-paced and action-packed blend of aerial and ground-based shooting. This follow-up to the original Kid Icarus—released for the Nintendo Entertainment System™ in 1987—has been at the top of gamers' wish lists for years. The Star Fox team triumphantly returns to one of its greatest missions with this remake of Star Fox™ 64 in full 3D, featuring a complete graphical update. The entire Star Fox universe spreads out realistically into the depths of the Nintendo 3DS screen while the 3D visuals give the player a clearer grasp of distance and position. This makes the game more approachable and intuitive, thereby allowing players to focus on the action. Dead or Alive Dimensions takes the vivacious characters and locales that have made the DOA franchise a hit with gamers everywhere and presents them in eye-popping 3D. All of the punches, kicks, counters and holds that have defined the series as a top-tier fighter are present for the first time on a portable gaming handheld—the Nintendo 3DS™ system. The ultimate version of Street Fighter® makes its seamless transition to the Nintendo 3DS with Super Street Fighter® IV 3D Edition. The highly acclaimed console experience is now in the palm of your hand with rich new features that utilize the capabilities of the Nintendo 3DS to its fullest. Nintendogs are back in the palm of your hand in 3D, with even cuter puppies and now, kittens! Using the built-in Nintendo 3DS camera and facial-recognition technology, your puppies and kittens to react to real-life movements, even jumping up to lick you as you lean in. Take pictures of your puppies and kittens in-game, and share them—or with the Nintendo 3DS augmented-reality feature, watch your puppy play on your own dining room table! For over 15 years, soccer fans have looked to Konami to deliver the most authentic soccer experience short of stepping onto the field and playing the real thing. Now Konami brings fans the first soccer game in 3D – PES 2011 3D for the new Nintendo 3DS gaming platform. Enjoy the game with hefty modes and competitions including the UEFA Champions League and prominent Master League. It's Super Monkey Ball as you've never experienced before! Join AiAi and friends as you tilt and roll your way in to the world of 3D! Lose yourself in each vibrant world as you twist, turn and aim to collect every banana in the fastest time possible. Then play together with friends and be the first to cross the finish line in Monkey Race or get ready for a manic melee in Monkey Fight. Everyone's favorite monkeys are jumping out of the screen with excitement. Return to the world of survival horror in Resident Evil: The Mercenaries 3D, only for the Nintendo 3DS system! Your favorite Resident Evil characters begin the fight for their lives in full 3D action unlike any other. Use a host of devastating weapons, and defeat countless enemies in a race against the clock! In the spoiler tags below are Friend Code's belonging to PSU members. If you have the Nintendo 3DS and your Friend Code is not included and you would like it to be please PM me or post in the thread. 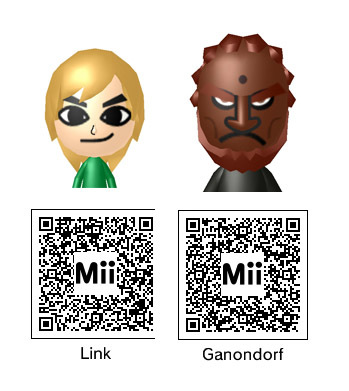 In the spoiler tags below you will find QR codes. 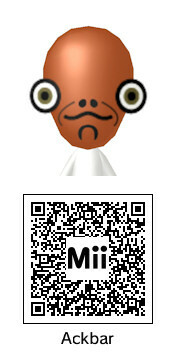 Nintendo have made it easier to share your Mii creations with others. 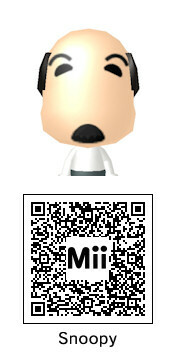 Simply open Mii Maker, select Scan QR Code and follow the on screen instructions. Good job buddy, rep+ for the nice work. Subscribed. What about the specs? How fast is it? What console/other device is it comparable to in terms of processing power? I'll take two please...I want one in red, and the other in white. How powerful is this device? 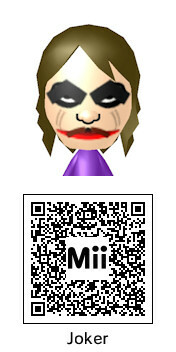 Is it same as Wii? PS2? and are the 3d same as the stereoscopic TVs, so you can have the exact feeling of 3d as in Gran Turismo 5 ? I got the details for you. It has 96MB of RAM usable for games, 128MB total.. So this implied a 32MB OS. At the very least we know it has 96MB. It's GPU is the Pica200 clocked at 166Mhz (I'll have to check on this to be sure). It has fixed shaders, and a few neat little pieces of tech packed into it that most last gen consoles lacked. Most disappointingly, it's CPU is an Arm11 dual core clocked at 266Mhz. This is paltry compared to most smartphone offerings out there. More or less you'll be seeing graphics that look better than Xbox 1 titles. But its CPU is considerably weaker by comparison. Uses OpenGL ES 1.1 with custom extensions.. It also has some sort of special API called "Maestro" which can convert functions into "OpenGL 2.0 like" or something. In terms of raw output from the Pica200 GPU it should be, in most ways, superior to the Xbox Nvidia GPU. It also has 50% more RAM than the Xbox 1 so games with well over Halo 2 quality is feasible. A current generation iTouch demolishes the 3DS in every category except for battery life, arguably. Odds are also strong it will ship with a secondary ARM core to fuel its OS\bottom screen\provide security measures. Won't be usable for game devs. I'd buy a metallic pink one. One of the first things you read is that the OP is a work in progress! Theres more to come yet and I hadn't forgot about the specs! I only get the time to work on it at night (GMT) so it will get some more added to it tonight! Updated with launch dates for specific regions and pricing for the console where it's been announced. I heard that next ipod will have 3d screen, if true i'll wait for that, th ipod is more powerful device,it's obviously superior in everything. As much as I really want one, it really has to drop under £200 first !! For the GB/GBC downloads, Nintendo needs to get with Wayforward and talk about getting the original Shantae up there. The DSiWare one is absolutely fantastic but so many people have yet to experience the original game. I was refreshing GameGears 3DS page for a while waiting for the pre-orders to open again at £194. I saw the "Pre-Order" button pop up, clicked it... but by the time I registered they had all gone :angry Knew I should have registered earlier. I will do some more work on the OP tonight! Games are the next thing on my list! This has got me pretty interested in the 3ds!! I want one!!! Updated OP with the first handful of games! More to come soon. I'm glad people are finding this informative. The Legend of Zelda™: Ocarina of Time™ 3D????? WHAT!! Best game ever. I would buy it just for that game, but not sure as of now. Will wait for a price drop. I'm so getting it on day one. Thanks DC89 - useful information here again - like the other thread you made. I am curious though - what internet browser are Nintendo using? Any guesses? Opera? 3D Picture taking ability and video recording (the latter which Iwata alluded to) could end up being big USP's for the 3DS. As well as 3D augmented reality. I am also interested in these motion sensors. They could add a lot to the gaming element. 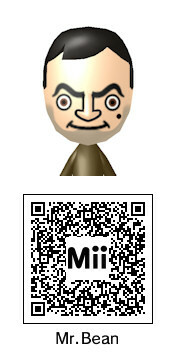 It seems there are a lot of novel features in the 3DS and fun little things to do which the casual market will enjoy. I am just thinking of that one game that will tie a lot of these elements and features of the 3DS together....in particular StreetPass and SpotPass. I am curious as to how the eShop will develop as well - DSiWare and WiiWare were not exemplary services. I think Nintendo know they need to improve with regards to this aspect. They haven't said yet. It probably will be though. You know, right now - due to price, and my lack of interest in portable gaming - the 3DS is a no. But if they ever announced earthbound 3D, Earthbound remake, or even earthbound released on the 3DS store.. i'd buy one just for it. I dont know why Nintendo wont re-release that amazing gem. Will old SNES titles be available like Secret of Mana etc? That would make this more attractive but then I'd also be able to play those on PSP2 eventually no doubt. I don't think it will be there at launch, but Classics in 3D will have a few SNES titles and I am sure more will be added over time. Here are the NES/SNES games that were showed off on the 3DS(in 3D) at E3 last year. [QUOTE="Ryunosuke, post: 5412264]I don't think it will be there at launch, but Classics in 3D will have a few SNES titles and I am sure more will be added over time. That is interesting. It's always puzzled me why with such a great collection of classic titles they seem to take so long with them. People have been screaming for say Earthbound outside the US for god knows how long. If they made them available then perhaps people would actually buy them instead of using 'other' methods. 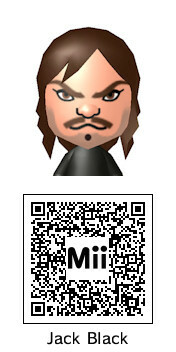 I would like a Wind Waker port! Probably my favourite Zelda of them all! But they are all so good. Amazon.co.uk have lowered the price for the 3DS to £202. Nearly £27 off, I think that will tempt more people. Can't wait for the 3DS! The game line-up looks stellar already! (Professor Layton, Paper Mario, Starfox 64, Ocarina of Time, Kid Icarus) Though I haven't bought a Wii either yet.. so I might just get that instead. Would someone care to explain to me what is region-lock, that everyone is worked up upon? Does it mean the line-up will be only be released in Japan ? Also what do importing and porting games mean? I don't know how my game store gets their stuff, but when a game is released they always bring NA, EU and JP (if available) versions, but most of their stuff is NA. How is that going to be a problem for me, this region-lock thing? I'm very naive in these kind of stuff, so don't mind me.